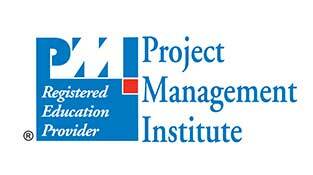 The Project Management Professional PMP® is the most important industry recognised certification for Project Managers. You can find Project Management Professionals PMP® leading projects in nearly every country, and unlike other certifications that focus on a particular geography or domain, the PMP® is truly global. The PMP® also increases your earning potential, as PMP® certification holders earn more than their non-certified peers. PMP® certified Project Managers complete more of their projects on time, on budget and meet original goals. PMP® training from Global Edulink is designed to ensure that you clear the PMP® exam on your the first attempt. Our hands-on training approach, entrusted by thousands of learners and we guarantee that you’ll walk away with all the preparation and confidence you need to conquer the exam and earn the PMP® certification. This online Project Management Professional PMP® course has been designed for 24 guided learning hours. The course follows the topics listed under the curriculum section below. After you have familiarised yourself with the PMI terminology, having a good understanding of the PMBOK, and successfully passed any mock exams, you should be ready to take the real exam. Take the exam – Examinations are held twice a day on all working days. Complete the online exam application at www.pmi.org. The application can take a little while to complete, especially if you have a lot of experience to document. However, you do have 90 days to complete it which means you can revisit it whenever you want during this time period.